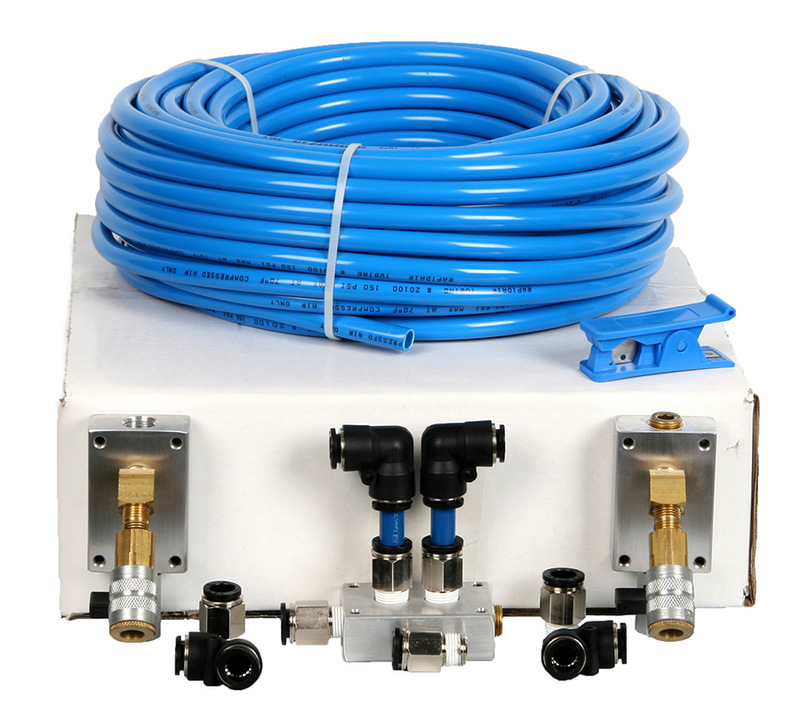 The RapidAir compressed air piping system allows you to design and install your own personalized air system any way you want. 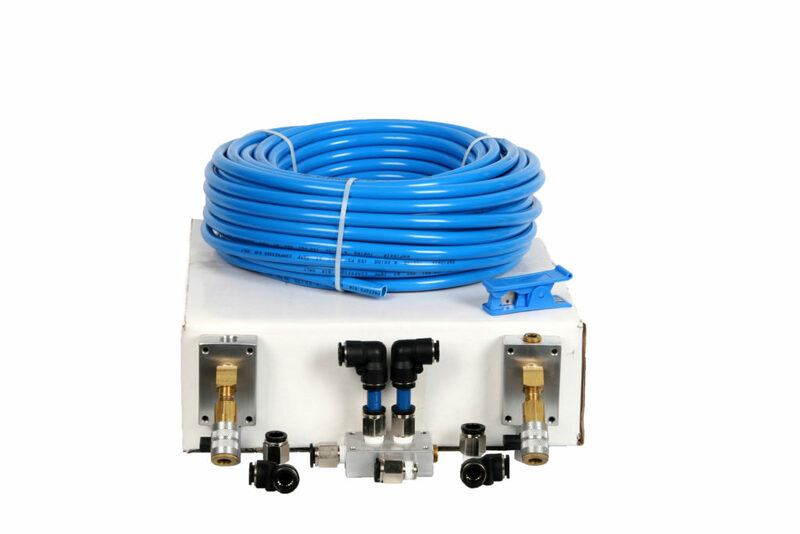 The hose fits easily into the included connectors. No special skills or equipment are needed. Just push the tubing into the fitting until fully seated. RapidAir nylon hose is flexible enough to get around large radius corners without special fittings. The system can be mounted on the surface of a wall or behind the wall with flexible clamps that allow the tubing to move. No expensive tools are required. 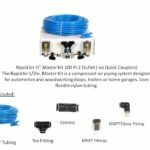 You can purchase additional fittings to customize your RapidAir installation, based on your space and compressed air requirements. It is easy to add and change air drops as needed, since hoses and fittings can be easily disassembled and reused. The system is rated for up to 150 PSI, which is well within the working range of most air tools. 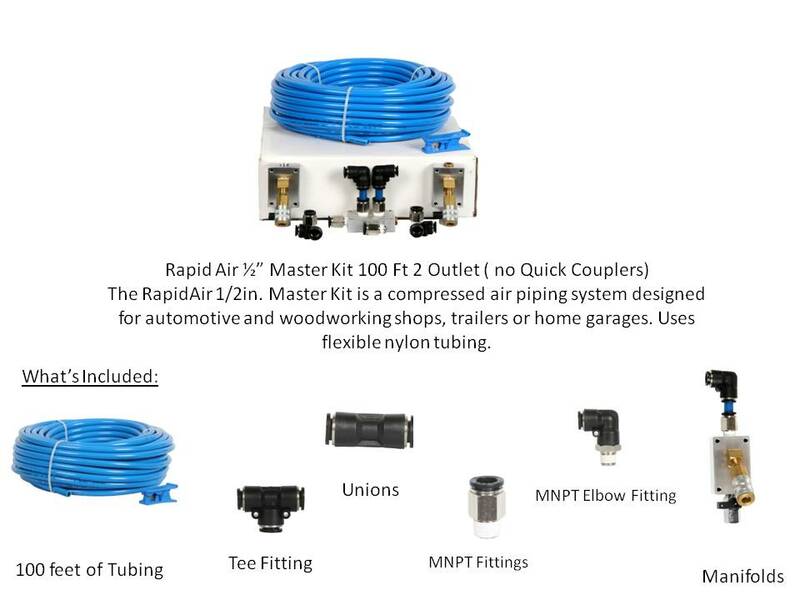 The RapidAir Master Kit is an ideal solution for garages, workshops and trailers less than 1200 square feet.